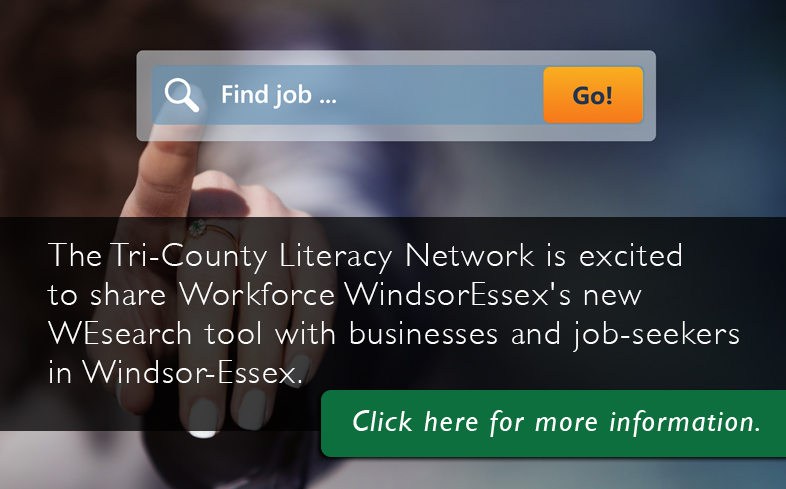 The Tri-County Literacy Network is excited to share Workforce WindsorEssex's new WEsearch tool with businesses and job-seekers in Windsor-Essex. Supporting adult education and training across Ontario. Task-Based Activities for LBS is a collection of activities aligned to the Ontario Adult Literacy Curriculum Framework (OALCF) and organized by stream, goal path and level. The Tri-County Literacy Network is a non-profit organization that promotes literacy as an important part of life-long learning. We provide support to adult literacy programs and develop community partnerships with other promoters of learning in Chatham-Kent, Sarnia-Lambton, and Windsor-Essex.